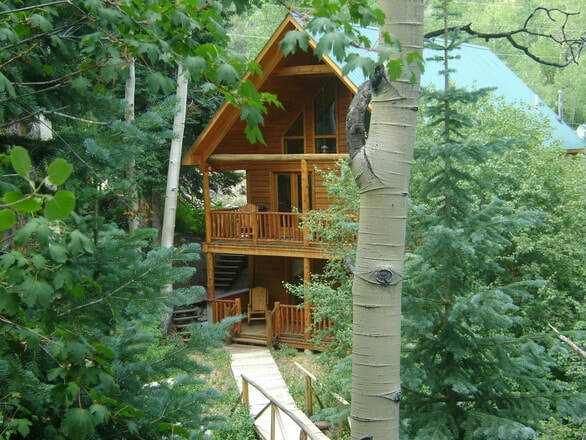 Sleepy Hollow Cabin is a beautiful rental cabin near Monarch Ski Area. Enjoy this secluded riverfront vacation home that is located only 4 miles from Monarch Ski Area. You'll enjoy majestic views of the mountains and sounds of the flowing river. Summer and winter sports are just a step outside! This Monarch cabin sleeps 12 people. There are 4 bedrooms and 2 bath rooms. To reserve your lodging at our beautiful Monarch cabin, view our rates and contact us today!